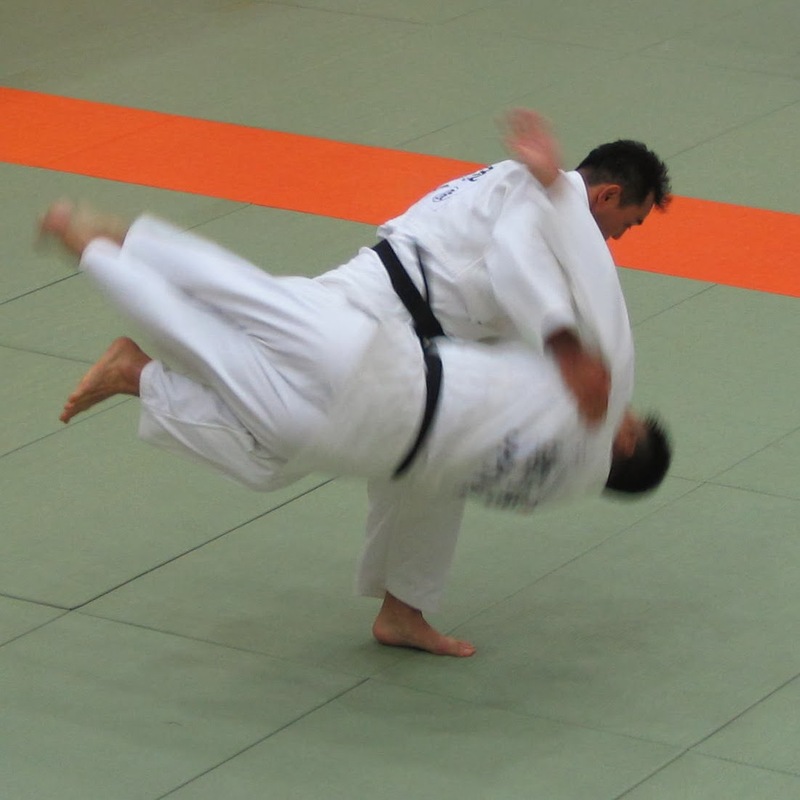 We do an ukemi exercise starting about the time students get a good handle on forward rolls from standing. We have the student stand in the starting posture for the forward roll, with his weight leaned forward onto the front foot, then instead of pushing forward into the roll, the student hops his forward standing foot backward 2-3 inches, which immediately disrupts their equilibrium and forces a forward roll. This is a great exercise for getting beyond the beginner stage where the uke has to be in complete control of when the fall happens toward the stage where uke can safely roll out of sudden, unexpected balance disruptions (like sasae for instance). In our kids' uke-centric Nagenokata, where the focus is on uke and tori is mostly just a spotter, we are using haraigoshi as a similar exercise. The approach is the same as in Kodokan Nagenokata - three tsugiashi steps with tori switching his hand to uke's shoulderblade on step-2 and using that hand to tilt uke forward onto his front foot on step-3. But we are using that action by the spotter as an excuse for uke to demonstrate the hop-back ukemi. Tori/spotter takes 3 steps with uke, adjusts his grip and tilts uke forward on step-3, fitting his hip and leg against uke as in haraigoshi. Then uke hops backward 2-3 inches, tori follows that hop with his leg, and uke executes his forward rol/airfall using tori for support. This has turned out to be a good simulation of the mechanism and the ukemi for haraigoshi, and the kids caught onto it right away!